Taking care of my maturing, very dry skin is almost a full time job, these days. I kid you not! I am devoted to my morning and evening multi step routine and I am forever on the hunt for the next great thing that will hydrate and make my skin look and feel it's very best. If it smells gently of lavender? Bonus! I was recently offered the opportunity to try one of Dermalogica's newest complexion pampering products and, after giving it a good test drive, I'm so excited to share it with you, today. The Sound Sleep Cocoon, $80.00 - 1.7 fl. oz. is a transformative night gel-cream created to deeply hydrate, soothe, plump and revitalize the skin as we sleep. To use this beautiful moisturizer, I turn the lid, press down and a featherweight, white gel cream with a gentle lavender scent is dispensed into my hand. As I smooth it across my face, I feel the formula drop into my skin and go to work while the soft scent begins to relax and soothe my senses. My complexion instantly feels velvety soft and when I wake up in the morning, my skin is hydrated, has a soft, natural glow and my fine lines and wrinkles appear plumped and a little smoother. And that, gentle reader, is what it's all about. I have had the pleasure of trying a few Dermalogica products over the years and this is definitely one of my favorites! I just love the Sound Sleep Cocoon and I recommend it. Dermalogica is cruelty free, vegan, gluten free, paraben free and contains no artificial colours or fragrances. 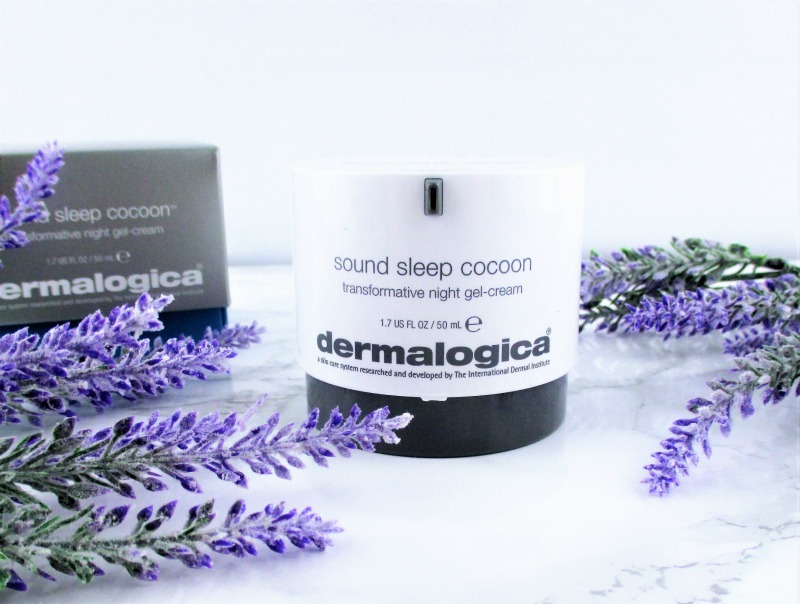 Have you tried the Dermalogica Sound Sleep Cocoon? What are your favorite Dermalogica skin care products? If you enjoyed this post and found it helpful, won't you please share it? Thank you. You're welcome. I also love that it works while I sleep. This sounds like a really nice sleep pack. I haven't used one in years but I really should. This one is lovely because while it's very hydrating (I have Sahara Desert dry skin) it isn't heavy or oily. I think that this is a good product for many skin types. I need to get back to a bed time self care regime. lately work has been overtaking that part of my life. this seems like a good night-gel. It is so worth it to take a few minutes for self care after a busy day. Your skin will thank you and you'll feel so much better. This stuff is amazing. You'd love it. Did you say gel cream and lavender? I’m there. I'm the opposite of Allison since the moment you mentioned lavender I knew this terrific sounding cream wasn't for me. A little pricy but if they offered a sample I would try it first! It is spendy! Definitely get a sample, if you can, it's worth trying. Magic while you sleep!? My kind of product. :) I really like the packaging. The packaging is amazing. I wake up with such soft skin. I want this! By the way, your photos are beautiful! Thank you! Sleeping is the perfect time to rejuvenate the complexion. I have heard amazing things about dermalogica but never tried it. I'll have to give this product a try! Dermalogica is a fantastic skin care line. This sounds like something I want to bathe in!! I love dermalogica nighttime products. Can you imagine how soft all over you'd be, if you could use this head to toe? That sounds awesome! I always notice a huge difference in my skin if I use a good moisturizer and get a decent night's sleep. It's everything for good skin! it sounds really nice. do you do all your other nighttime steps first? or use this alone? I apply after essence and serum, as my night cream. I don't see why it can't be used alone, too. This looks like a good product. But I don't really like to wear night cream. I live in tropical country, night cream makes my skin sticky. Oh this looks really good. I have dry skin so I'm all about bumping up my hydrating and keeping the skin more supple. The Sound Sleep Cocoon is perfect for dry skin. My dry aging skin is also effected by my thyroid levels so hydration is a huge concern for me. 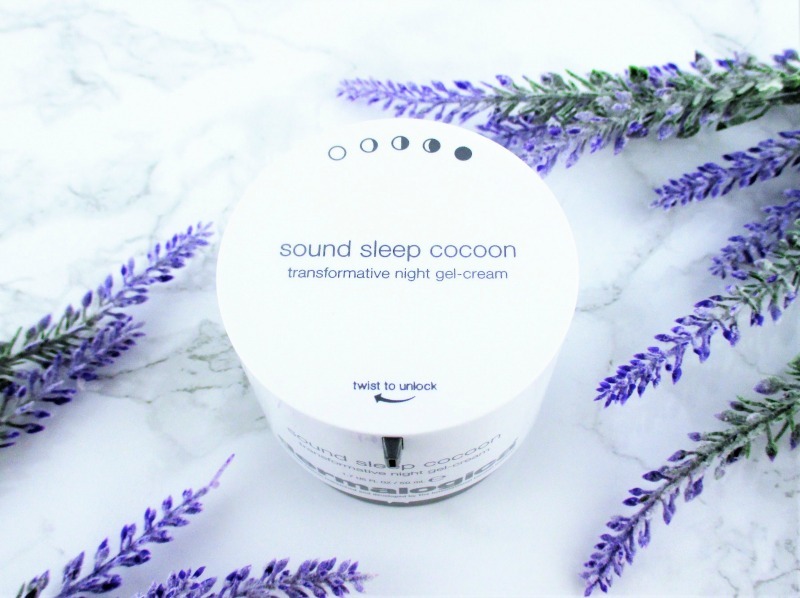 Sound Sleep Cocoon sounds like it would be fabulous to try especially with the lavender scent! 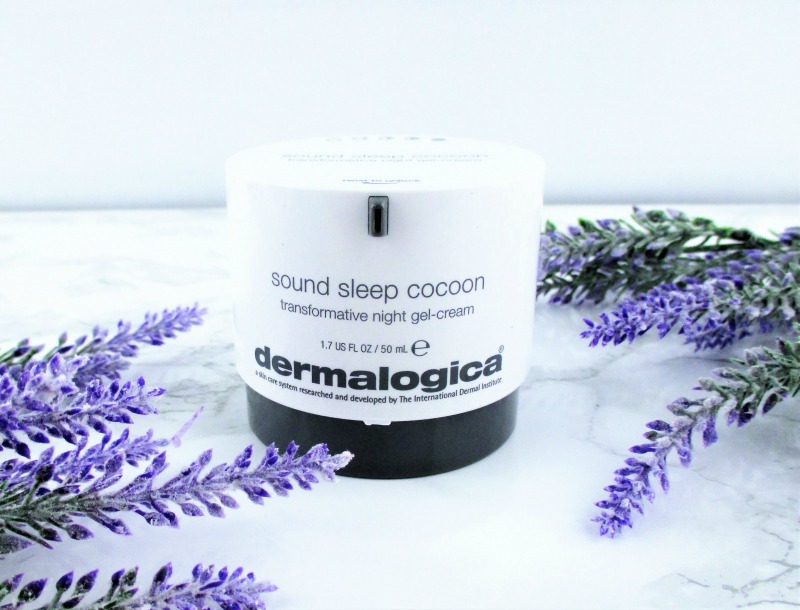 A sleep caccoon for my skin? This sounds heavenly. I also like the idea that it is lightly scented with lavender, it would help me sleep and rest well. The scent is lovely and it does cocoon your skin in hydration and comfort. Everything about this formula, and its smell, sounds heavenly! I need to see if I can find a sample! I absolutely love gel-creams! I think that you'd love this. It's so light and silky but deeply hydrating in the best way. This sounds like a fantastic product. Like others have said, I'd love to try a sample. Does it work well with combination skin? I have very dry skin so I can't speak to whether it would work for combo skin or not. What I can say is that the gel cream is very light and silky smooth and it hydrates but doesn't feel at all oily or sticky on my skin. If you can get a sample, give it a go, I think that you'd like it. 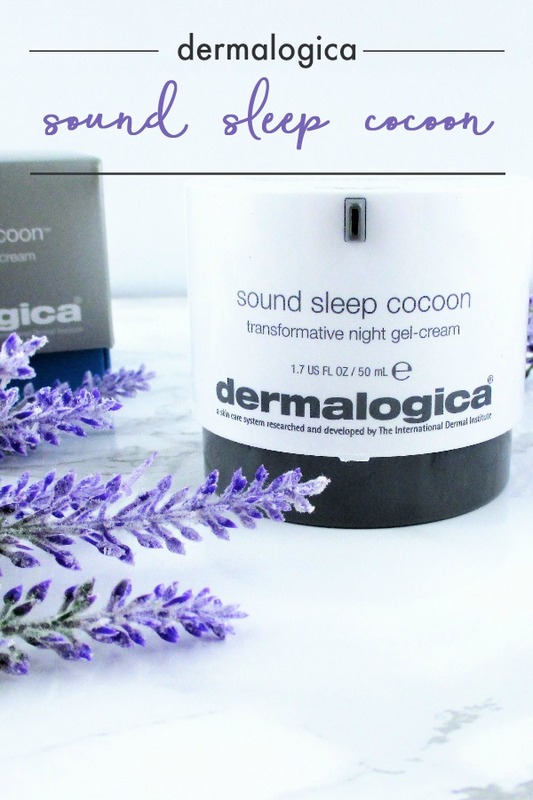 I love dermologica products and I am always looking for a good night cream. Thanks for your honest review! You're welcome. I'm happy that you found it helpful. Sound + Sleep + Cocoon sounds like something I need desperately right now! I'm going to look for this product. Oh, good! I hope that you love it as much as I do. This sounds so nice and lavender has my attention! This is a lovely, real lavender scent. If you love lavender, you'll like this. I want this so badly! I just got into night cremes this year and love how they make my face feel but I really love the smell of lavender! Girl, you need to try this! The scent is so soft and pretty but it doesn't stick around for a long time and the cream really works! How strong is the scent? I actually like lavender in small doses, but my husband doesn't. Hopefully it isn't too strong that it would bother him! The scent is gentle, soft, rounded and light. The best thing about the fragrance is that it comes from natural essential oils and it doesn't linger for long. It drifts away, after a few minutes. I don't think that your husband would find it objectionable, at all. My skin and I have been fighting lately. This would be great along with more sunlight for me! I fought my skin for a long time. It was when I learned to stop, listen to what it was trying to tell me and started giving it the care that it wanted that we found peace. It takes time and experimentation but it's so nice when you get there. Sunlight is nice, just don't forget your sunscreen. This sounds amazing! Definitely need to look into something like this. It's been missing from my routine for far to long. Everyone needs a good night time moisturizer and this one works beautifully. You have a beautiful name. I think that you would love this moisturizer, the scent is lovely and it's wonderful for the skin. Looks like great cream, I need to try it as my skin is dry and itching in the night. This should take care of the dry, itchy feeling. 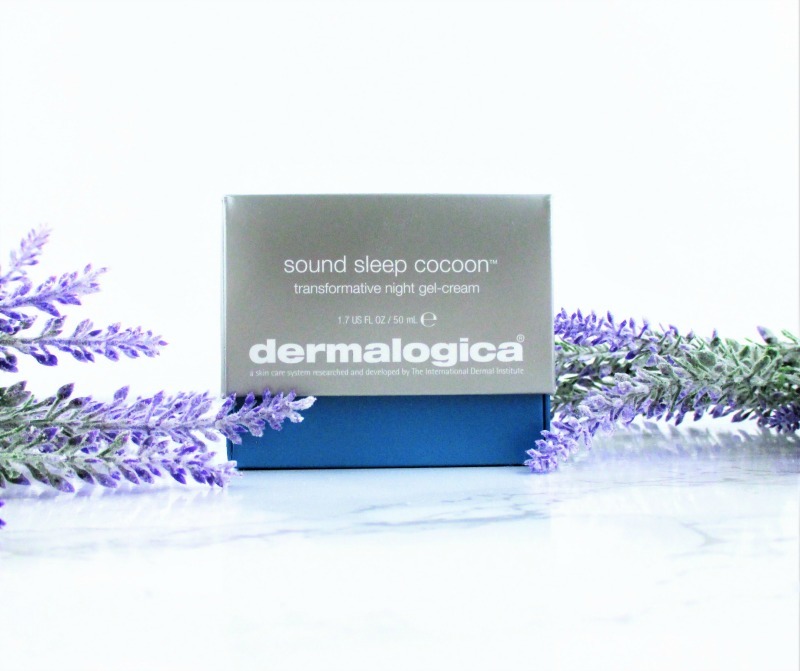 My skin feels hydrated and comfortable when I use the Sound Sleep Cocoon. Sounds amazing. I would love to try it. My skin is sensitive, but I would like to try t.
I've heard really good things about this brand and you made it sound even better! I think I need to try it! I pretty much need dermalogica everything in my life, haha! Their products work really well for my skin, especially the sunscreen. This is one of the good skincare brand in the market that I haven't tried yet. Now i am more curious, will but this! Okay, so this looks like something that was made for me. I am a huge fan of sleeping packs and lavender used in skincare. I can't believe I don't use much skincare products while I sleep. Looks like I need to pick up some dermalogica asap! I don't know why but for some crazy reason I have yet to try this brand. I may need to make a trip to Ulta and check out a few goodies, including this! Who doesn't want magic worked while sleeping! I haven’t used this brand but this product sounds amazing! I may have to give it a try!